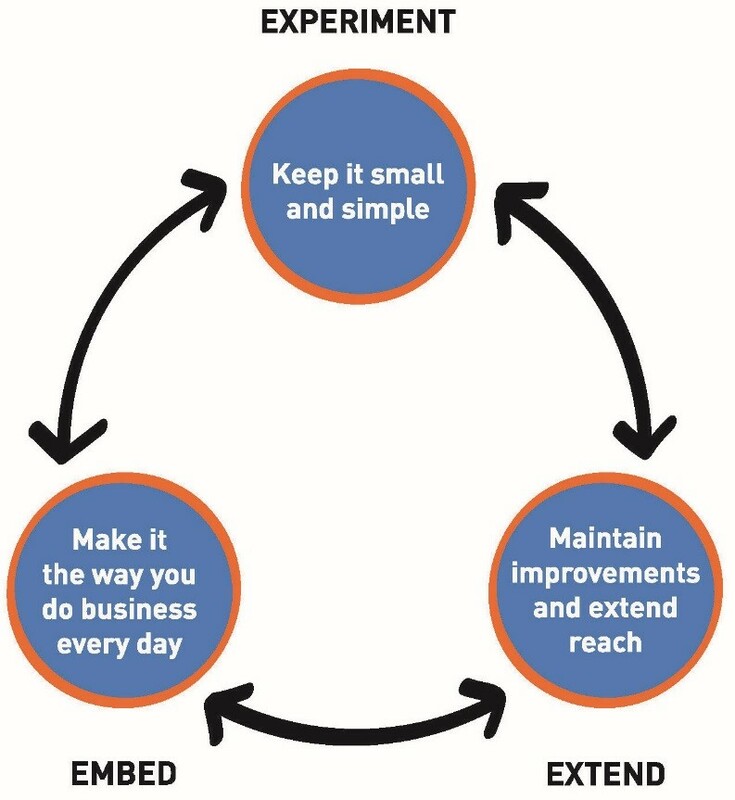 The best approach for initial process improvement projects in any company is to Keep It Small and Simple. 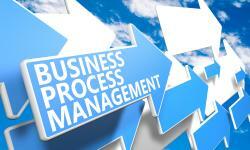 Process improvement requires a new way of thinking. No longer do managers tell employees what to do, or get employee input and still make the decisions themselves. Here, teams of employees map steps and decisions in the current work method, identify inefficiencies, and suggest improvements. To be successful, the organization starts with small projects or experiments--tests premises and solutions, and finds quick wins. Then, they implement more fully, learning from each project, and promoting successes with other employees. The company’s next challenge is making the improvements stick. Over time after a new implementation, changes can backslide. Employees may go back to the former way of doing things and improvements are not maintained. You feel like you have to start again. To prevent falling back, the business owner has to monitor the process, notice changes, and continue to retain the process practices of the solutions. At this stage the organization also extends the improvement work to new areas. For example, as employees and managers get more skilled, they try cross-functional projects instead of projects within departments. These will be more complex, but they will also generate larger results. In extending reach, the company builds a critical mass of skilled leaders and employees who understand how to do operational improvements in more areas of the company. This stage builds and strengthens the organizational muscle. In this stage, the company incorporates improved work processes into the daily work. The improved methods become how the company naturally does business. Over time, few employees want to go back to the old way. New integrated software aids in sticking with the new method. The new methods become how the company does work. Eventually the organization wants to make additional improvements to the way they do business every day. They might want to incorporate data from customers into the regular work, or work with partners to differentiate their company by providing a wider supply chain. For these additional ideas, it makes sense to EXPERIMENT - Keep it Small and Simple, before moving to the wider stage EXTEND. At this point the company is flexing its muscle further, based on the foundational principle of continuously looking for more improvements. The EMBED stage necessitates disciplined practices similar to physical exercise. In regular exercise, you identify and measure where you are today (weight, frequency, and level of exercise) and begin an exercise program by starting small (EXPERIMENT stage). At this initial stage you measure and evaluate and then begin increasing exercise times and skill level. You maintain the exercise at this new level or increase it into new areas, maybe using classes or a trainer to extend types of exercise, while still regularly measuring yourself. This is the EXTEND stage. Next, in the EMBED stage, you keep the same routine and make it the way you do exercise every day. Your workout is no longer an ‘exercise program’, it is your daily exercise. If you stumble, you forgive yourself, pick yourself up and continue again. For additional exercise improvements you may try out new classes, get a friend to share her practices, or go for an exercise vacation, and keep on measuring yourself. Note: This model is based on research completed by I4Process with over 30 small to large global companies. 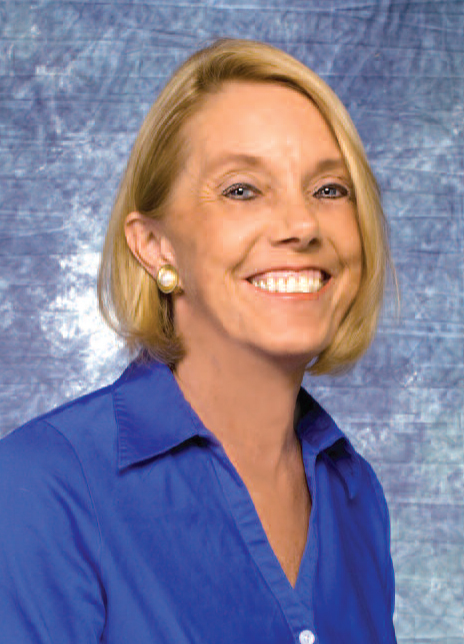 Shelley Sweet, the Founder and President of I4 Process, is a highly respected BPM practitioner. Her programs are based on a unique 3-PEAT method of modeling processes and analyzing data that accelerates operational improvements, and builds leaders and employees who sustain operational excellence. She is the author of The BPI Blueprint: A Step-By- Step Guide to Make Your Business Process Improvement Projects Simple, Structured and Successful. I am glad you found the model useful and relevant to your work.